Unfortunately I was very much surprised to see your dishonest words related to the traditional and, by the way, the best Lviv chess festival - Vasilishin Memorial. With all my respect to the fact that you dislike Yazici's methods of management, Macropulous's behaviour, Karlovich's work as press-attache and the fact that you do not agree with Ipatov's opinion and his thanks to many of your enemies along with your strange negative emotions towards Yildiz, you somehow mean that the tournament was not fair and that the games were planned in order to get some necessary result, but you know nothing about the situation. However I quite understand that you are blaming us simply because you are not well informed so we can excuse that. However before we excuse each other let's finish with the situation investigation. During all the recent years I was the tournament organizer together with one of the most experienced Ukrainian coaches Vladimir Grabinsky. However last year and this year when Yildiz was playing I was actually a sole organizer. I can assure you - there were no pairings cheating or any other case like that. Of course previous years had some suspicious games but they were already decided between the players and organizers are not responsible for that. Nobody is to blame in that case. But we are proud that it's hard to fulfil a norm during the tournament which proves once again it is honest. Yildiz got International masters in the last round not specially. Our tournament has collaboration with Amitan Memorial in Donetsk and three masters (Volovikov, Petrosian and Zayarny) had to play in Donetsk. However due to some transport problems the players had to leave for the tournament during the last but one round. It takes 22 hours to get to Donetsk though. 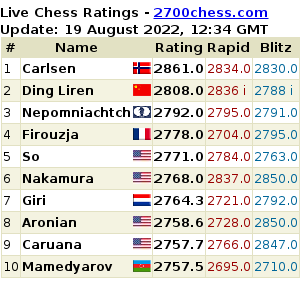 It was clear that the only way was to put the two masters who were leaving to play in the last round one against the other and to organize for a game some person that I knew rather than to bother Yildiz. I decided to choose my good friend Oleg Terletsky. That was the situation. Everyone had his own luck including Yildiz and I can assure you that she played all her games without any cheating. 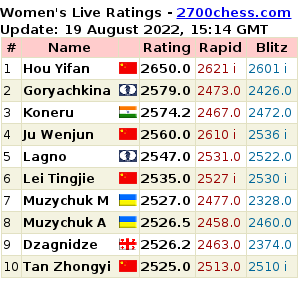 I am surprised to hear that you doubt her result "+6" in the tournament with an average rating of 2248 - she is one of the strongest Turkish female players. To finish I've got two things to tell. First I am sure you negative opinion is because you are not well informed. I am sure you need to say you are sorry. The second issue is the following. As long as I am the tournament organizer I will have no cheating in my tournament. I never did that as a chess player since 2009 and will never do that as an organizer. So please, dear chess friends, do not listen to what Mr. Atalik says. Welcome to our chess festival. We guarantee 100% fair play. E.SUROV: It’s 8 P.M Moscow time, and we are live on Chess-News over here. My name’s Evgeny Surov and we are talking to “the man from Kemerovo” – that is Anton Korobov, however it turned out afterwards that you are not exactly from Kemerovo but from Kemerovo region. Good evening, Anton! E.SUROV: Are you really from Kemerovo region, can I say like that? Е.SUROV: Good evening, it's 9 P. M. And I welcome everyone to join our conversation with a wonderful guest here - Alexey Shirov. Hello, Alexey. Le Quang Liem: "Unfair and disrespectful decision"